MOSCOW (Sputnik) - The volcano Ebeko on Paramushir Island, in Russia’s Kuril Islands archipelago, spewed out a column of ash to a height of 4.5 kilometers (2.8 miles), the press service of the Russian Emergencies Ministry's department in the Far Eastern Sakhalin Region said in a statement on Sunday. MOSCOW (Sputnik) - The Ebeko volcano on the Paramushir island, located in the Russain Kuril Islands archipelago, spewed out a column of ash to a height of 4.5 kilometers (2.8 miles), the press service of the Russian Emergencies Ministry's department in the Far East Sakhalin Region said in a statement on Saturday. 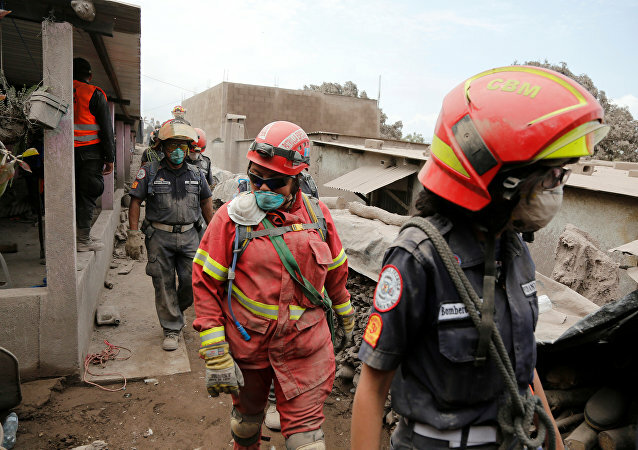 MEXICO CITY (Sputnik) - The number of people who were reported missing after Guatemala’s Fuego Volcano eruption amounted to nearly 200 people, Sergio Cabanas, the head of the National Coordination for Disaster Reduction of Guatemala, said. Ash and smoke plumes from Hawaii's erupting Kilauea volcano have reached up to 12,000 feet into the sky, prompting the evacuation of at least 2,000 residents. 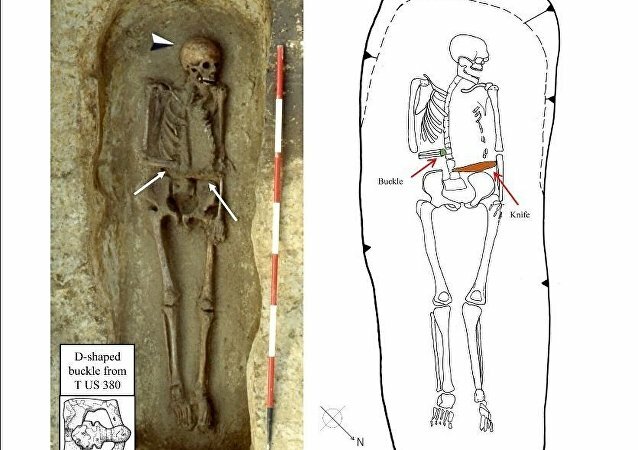 This odd-looking medieval warrior may have been the common ancestor of Edward Scissorhands, Ash from Evil Dead, and Merle Dixon from The Walking Dead. 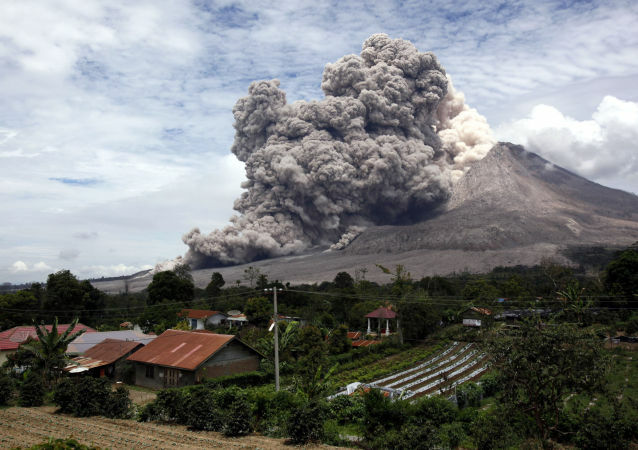 Volcano Ebeko is a natural sight featuring quite often in news reports, as it frequently stages spectacular "ash" shows for those living on Russia’s Sakhalin island as well as guests to the picturesque Far Eastern region. 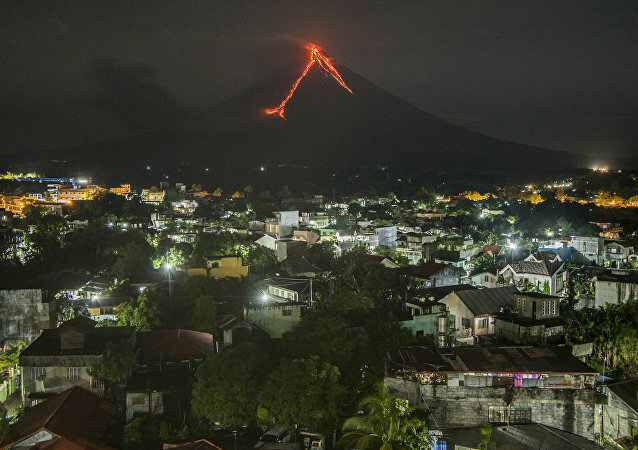 On Wednesday, the Philippines’ disaster agency announced that more than 61,000 people have been displaced by the flaming eruption of Mount Mayon, which began showing signs of activity a couple of weeks ago. 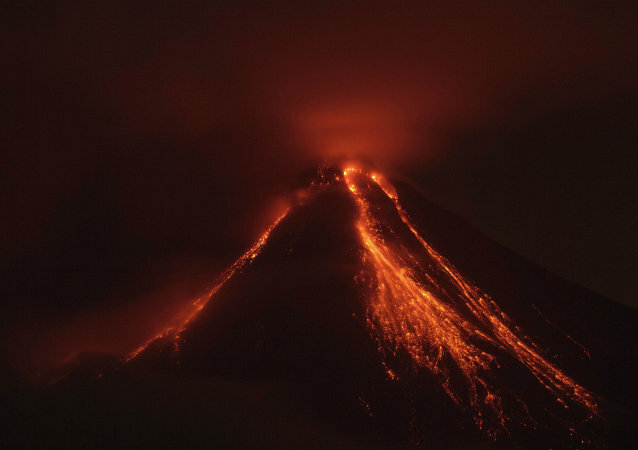 About 30,000 people have been evacuated from the Philippines' Albay province, where Mount Mayon is continuing to spew lava and ash, according to seismologists. 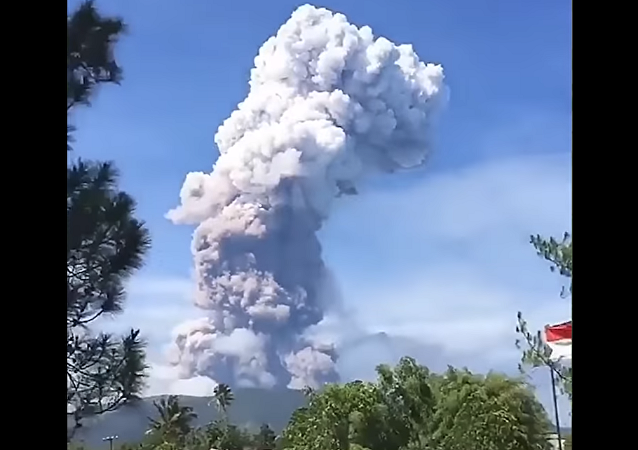 Wednesday afternoon, Mount Sinabung, an active volcano in North Sumatra, Indonesia, began erupting once more, spewing hot ash almost three miles into the sky. Mount Agung's volcano continues to erupt as residents and vacationers alike anxious to flee Indonesia's most popular international tourist destination for safety. 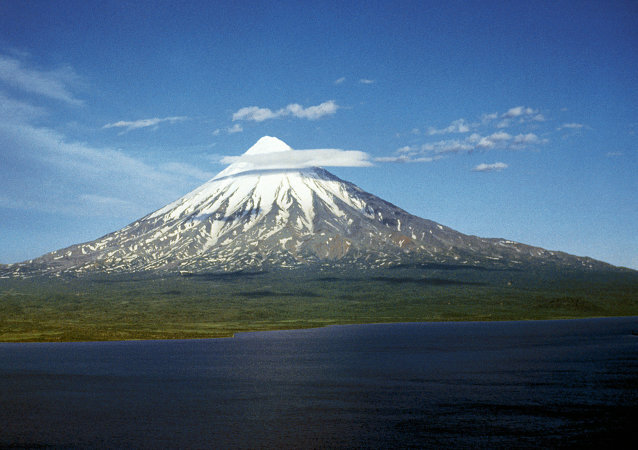 According to the Kamchatka Volcanic Eruption Response Team, Zhupanovsky Volcano could yield ash explosions reaching heights of six to eight kilometers above sea level. 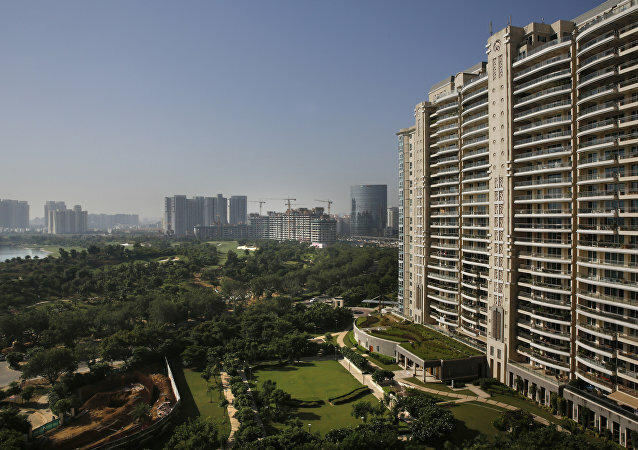 Indian scientists have developed technology to turn fly ash into geopolymer concrete that can be used to build roads, in what is seen as a huge relief for hundreds of thermal power plants that have huge dumps of fly ash, a by-product in generating thermal power. 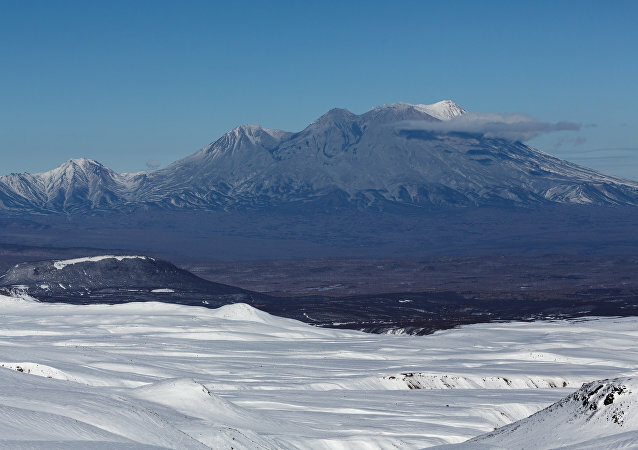 The Russian Far East volcano Klyuchevskaya Sopka erupted on Sunday, with hot ash shot miles into the air. 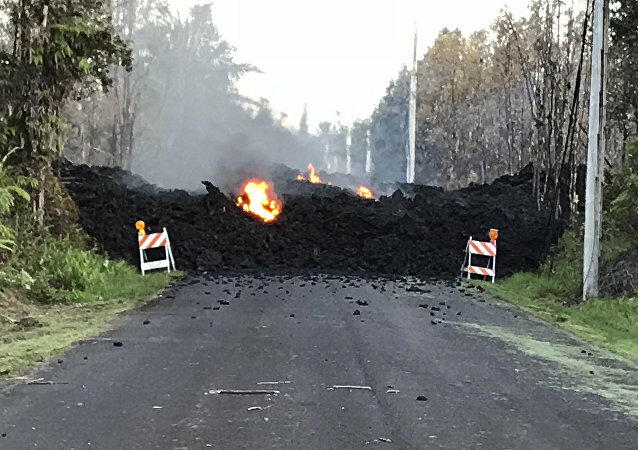 A volcanic eruption has reportedly been registered in western Mexico's Colima State, where people were advised to keep at least three miles away from the epicenter.